Welcome Alan – WLP’s new Program Director – and Goodbye Carla! WLP would like to formally welcome Alan Myers-Davis as the new Program Director. Alan is eager to continue securing conservation, recreation, and education opportunities for our local community on the Whitefish Trail. Originally from Knoxville, TN, Alan can usually be found adventuring outdoors biking, skiing, climbing, hiking or floating somewhere awesome with his wife, Frances. Carla Belski, who has been working at WLP for three years, was recently hired as the City of Whitefish Community Services Coordinator and will be leaving WLP in mid-April. Carla developed educational programming and community stewardship on the Whitefish Trail and streamlined fundraising and events for WLP. Carla would like to say thank you to all of the volunteers she has been working with through the years. She is excited to continue supporting the trail as a volunteer with her son on the WT Youth Bike Patrol, on the WT Hootenanny planning committee, and through her work with the City, a portion of which will include WT Operations support. WLP wishes Carla the best of luck in her new endeavors. Thank you…you have made a lasting impact on WLP and the Whitefish Trail! 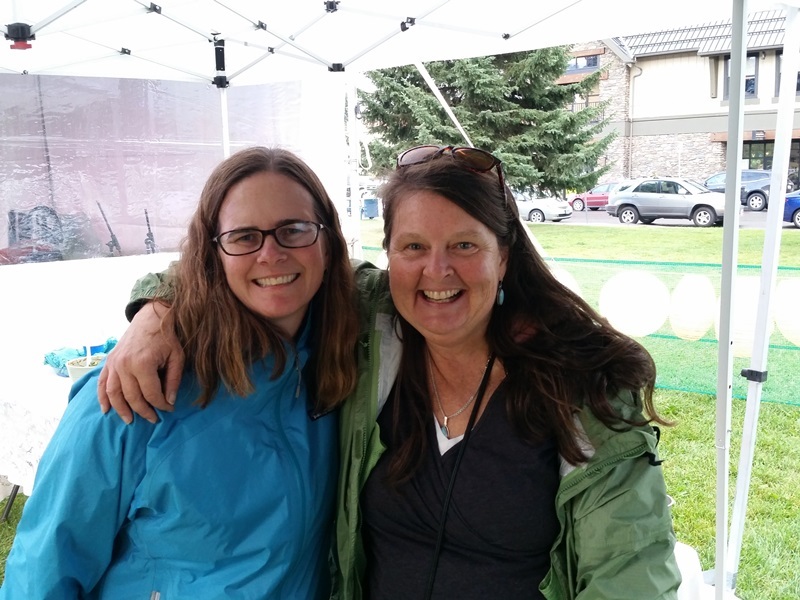 Photo: Carla, left, at the Whitefish Trail Hootenanny with volunteer and longtime WT supporter Lisa Jones McClellan.